Yep, yesterday was VCD (Virtual Crop Day) on SC (Stampin Canada). 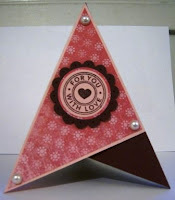 This time around Wenchie created Valentine challenges for us....THANK YOU grand poobah!! !